Fresh Air Bar-B-Que is proud to serve as a Partner in Education with the Butts County School System. Bar-B-Que as one of GA's finest BBQ Joints. 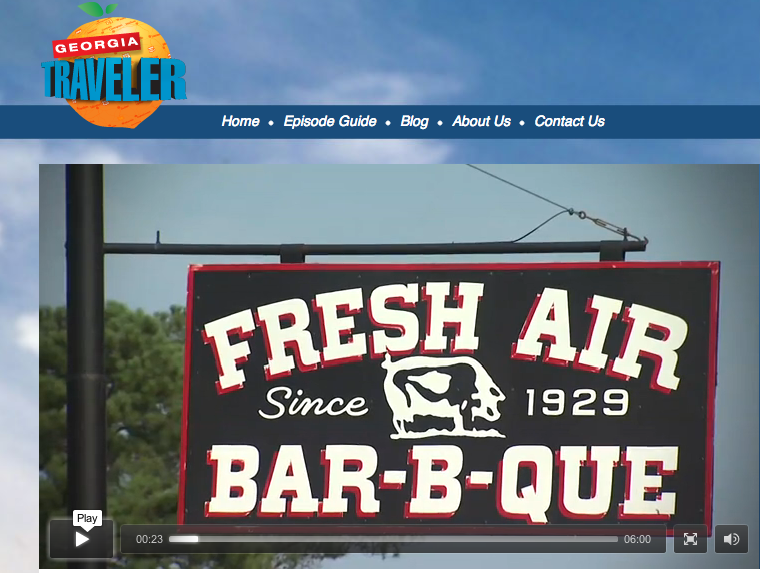 Fresh Air Bar-B-Que featured on Emmy-winning "Get Delicious!"series. 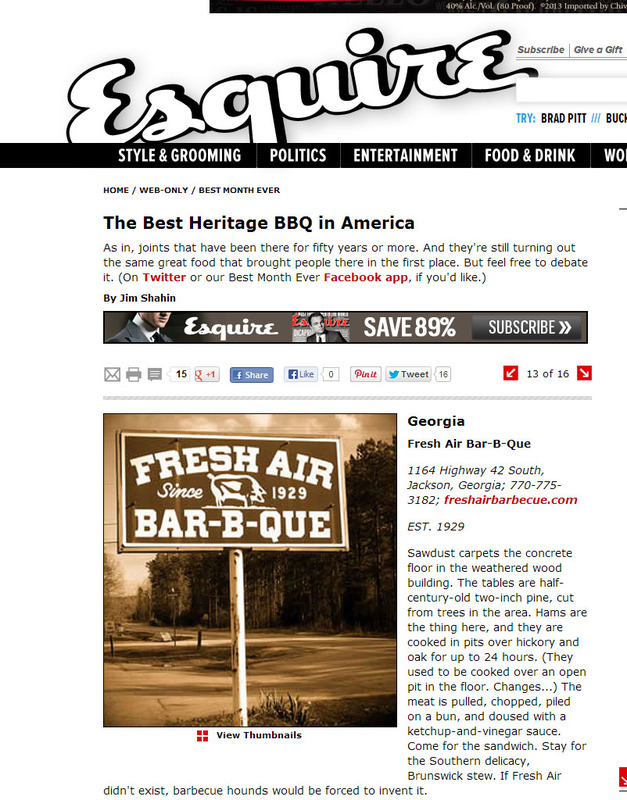 Fresh Air Bar-B-Que is proud to be named one of Esquire Magazine's "Best Heritage BBQ Joints in America".